One of our oldest and dearest friends in San Pedro is Curvin. He lived in San Pedro for several years, then moved to Sand Hill about two years ago to live with his father. Curvin is a tremendous artist and a great friend. He came from the mainland today to let us know that he is getting married and becoming a father for the first time soon. Three or four years ago, he told us he was ready to settle down and start a family. He has finally found his one true love, Judith, and she's quite a beauty. We wish Curvin and his new family all the best!!!! After taking Nepenthe to the Rio, Shanley was bringing Bindi back to San Pedro. There was a property on the Sittee River that they wanted to check out, so Renita and I met up with them in Dangriga, where we stayed overnight at the Sittee River Lodge. Reva was our guide and found us yummy places to eat, and showed us the sights. It was only one night, but very informative and fun. Jeannie, Cal, Shanley, Brady, Bindi and I set out to take the Nepenthe to Rio Dulce. Despite a storm just outside Dangriga that set us back five hours, we managed to make it there and back in just three days. We had a lot of fun, and accomplished some things for friends along the way. Yesterday was Jace's 12th birthday and we celebrated with dinner at Antijito's then went back to their house for some birthday cake. Jace fanning himself with birthday money! We arrived at the Costa Maya Festival on Saturday night around 7:00 pm. Working for Tammy at the Hummingbird Cafe booth. Fresh never frozen BAL shrimp in every imaginable combination you can think of. The party had barely started when we arrived and the doors were not opened to visitors for about an hour. There's some kind of pink goo in the bucket to his right, which he throws into the giant metal bowl, and voila! he puts in a stick and pulls all the hairy looking pink stuff out. Logan Calvain Elbert has Arrived!!!! Some of you may remember when the Elberts were here back in January. TJ and Ashley made the announcement about their pregnancy to TJ's parents the day they arrived. Logan Calvain was born last night at 8:28 PM..... weighed in at 6 pounds five ounces, and 18inches long. Congratulations to Ashley, TJ, Rena Richard and Aunt Kelly!!! “I can always sell t-shirts on the beach”. This was my mantra for many years. My mantra became a reality six years ago. 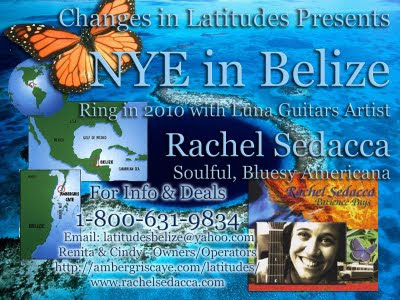 Join me on my journey in San Pedro, Ambergris Caye in the tiny country of Belize in Central America. Belize is a melting pot of people, Mayan, Kriol, Belizean, Spanish, and ex-pats from all over the world live together in a country the size of Massachusetts. I don’t sell t-shirts, but I AM on the beach! Ambergris Today Website Is Good to GO!